The deeper layers of the dermis (skin) contain collagen, a substance which allows the skin to maintain its shape and elastin, which allows skin its degrees of quite literally, elasticity. Production of elastin stops after puberty, hence some of the effects of ‘age’ on the skin. When the creams are applied, the skin reacts by producing more cells and more collagen, meaning cells seem fuller and rounder. The new cell production moves older cells to the outer layers of the skin where they are exfoliated. This creates the much vaunted effects of the creams, to make skin seem smoo9ther and more radiant (as new cells are less pigmented by UV rays). Interestingly enough, the concentration of retinol in the creams seems to influence their effect. A fascinating sample by national UK newspaper The Daily Mirror in 2007 (2) found that many manufacturers were shy to disclose exactly how much was in their product, or in what form. Remember, the mechanism at work is the conversion of the product’s active ingredient to a retinoic acid. Creams which contain retinoic acid itself are classed as pharmaceuticals, because they have significant, demonstrable effects on the skin – effectively making them a medicine. So retinoic acid creams are only allowed to be prescribed – meaning the beauty industry can’t use them in its creams. Instead, forms such as retinyl palmatate are used instead which convert to much smaller amounts of retinoic acid in the skin. This has advantages and disadvantages for the consumer. Whilst the effect is less potent than prescribed creams, the products are likely to be better tolerated. 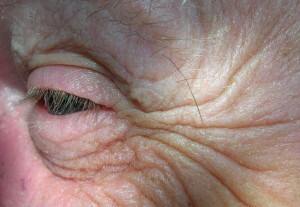 The prescribed creams can sometimes lead to adverse reactions such as dry, red & flaky skin in susceptible individuals. Retinol over the counter creams leave skin more sensitive to sunlight (3), so sunscreens should always be used even in climates where the sun may seem weak or non-existent some days! Those with sensitive skin are probably best advised to consult a professional before trying it. Pharmaceutical chain Boot’s suggest using their retinol creams by building up the number of times they are used first (2). Always consult a professional qualified doctor for health concerns. Giselle Mir states she qualified as Cosmetic Scientist before founding her own cosmetic company having become disillusioned with misleading cosmetic industry product claims. Mir has publicly stated creams containing retinol essentially irritate the skin, leading to moisture loss from the top layer and premature aging (4). IMPORTANT DISCLAIMER: NONE of the above advice can be a substitute for medical or professional skin care advice – please only consult qualified general medical and/ or dermatology physicians for serious skin complaints. The information is not sponsored by manufacturers here but may reflect their claims and this site cannot be held responsible for such claims made. 1. Draelos, Z.D.D. (2006). Cosmetic Formulation of Skincare Products: 30 (Cosmetic Science and Technology). Informa Healthcare.